Synopsis: In 2016, a meltdown of a nuclear power plant creates a big catastrophe in Tokyo. 20 years later, the city has become a ghost town due to the high levels of radiation. From that area a distress signal is received. 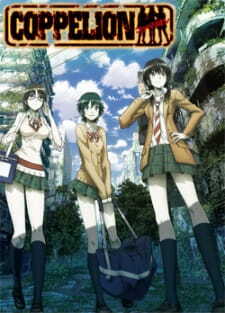 The Self Defense forces dispatch three girls from the special unit Coppelion to search for survivors. But why aren't they wearing any protection against radiation? 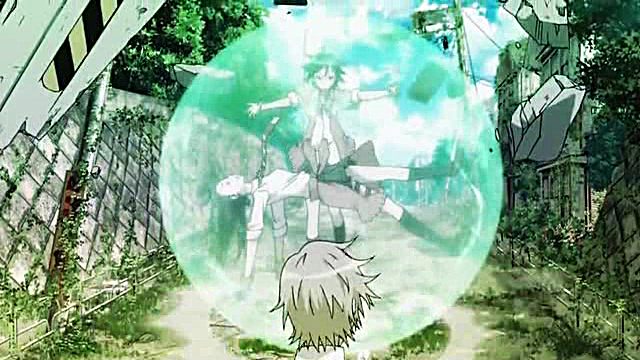 Coppelion started off as a good story. Post-nuclear disaster, no one can live there, and dolls, who have been created to withstand even the highest level of radiation, explore the broken city to rescue survivors. While I was watching, I expected to see these dolls, called Coppelion, to be emotionless artificial humans with unnatural powers going around and saving lives. Instead, this show features high school girls who have been ill-trained and are emotionally unstable. Sure, I do not mind if you cry due to frustration, or if someone close to you died, but after every single crisis, these girls burst into tears. This is so repetitive that it becomes irritating to watch them. This potentially wonderful story becomes nothing but a tear-fest with poor action scenes. Cue the crying . . . now. This is an post-apocalyptic anime, so dull and simple colours for the background are to be expected. At the start of this anime, the scenery leads to a very promising horror and mysterious anime. Sadly, this is not the case and the backgrounds' effectiveness is diminished. The characters in Coppelion are terribly drawn. There is nothing unique about these characters; they all look the same. Yes, I know that people need to wear protective suits and the girls have their uniforms, but they shouldn't be a copy-and-paste of each other. The opening and ending songs by angela were terrific. The upbeat, fast-paced rhythm, along with her rapping made an excellent combination. 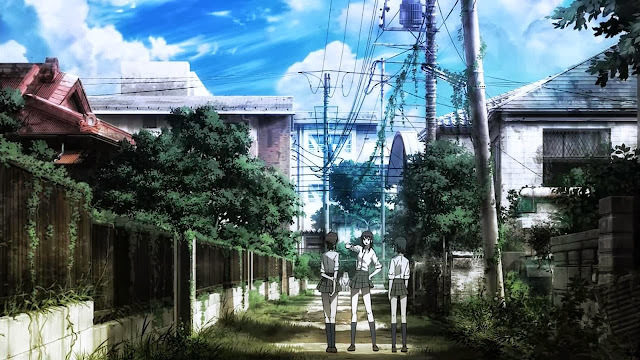 Throughout the anime there was generally silence, which is understandable because the setting is a ghost town. In the action scenes, there is background music but it does nothing to add to the scene, and it is something I like to call "dead music". Be prepared: Coppelion has a lot of dead music. More like character. Ibara Naruse is pretty much the only character that is focused upon in this anime. She has almost no character development. Although she is the strong leader of her trio, she gets emotional and depressed very easily. Not to mention, she cries, a lot. And has a lot of pointless, "I want to save everyone and make sure everyone is happy" speeches. It is these types of optimistic characters that I truly dislike. Everyone else is just there to take up space. The other two "main" girls have their tiny moments of fame, maybe three times in the overall show. These moments of fame do not really add to the story and seem completely unnecessary except to show the viewer that these characters exist. Different survivors are introduced in each episode and are almost never mentioned again. It is kind of disappointing because I was expecting at least a scene or two of these survivors and how they adapt to their new environment. never explained, nor is it ever brought up again. After the fourth episode, I really wanted to stop watching this anime. The terrible path of a promising story was a major disappointment for me, along with the weak characters. The cycle of attempting to rescue survivors, then crying because it is too difficult, then crying because one person is sacrificed and finally laughter because everyone is just so happy to be alive was dreadfully annoying and too damn repetitive. I think after I realize how terrible this anime was, I continued watching simply for the opening and ending songs, as well as the scenery. Honestly, I paid more attention to the opening song and ending song than the actual anime. 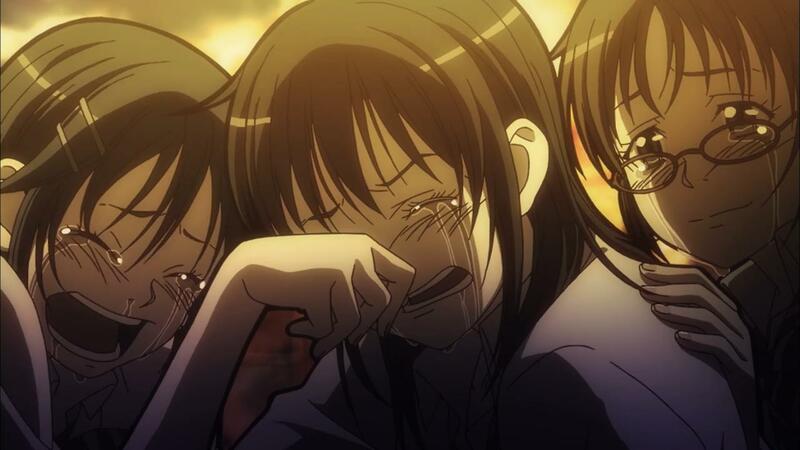 I usually try not to bash on an anime series, but Coppelion deserved it. Even writing this review was painful because I wanted to rant about every little mistake. This show had so much potential at the beginning, and by the end, it was a disaster. Instead of watching Coppelion, I would recommend Tokyo Magnitude 8.0. It has a similar concept with a better storyline and characters, and the artwork is not that bad. He is just playing with a grenade. No big deal.